Say Thank You in a Video. Video Marketing and Your Business. Posted byOmi Sido 3rd June 2016 20th September 2016 Leave a comment on Say Thank You in a Video. Video Marketing and Your Business. Everyone in the world wants to be acknowledged by sincere, honest ‘Thank you’. This small act of kindness is a powerful tool that is at our disposal at all times, so we have to start using it as often as we can. In all honesty, I don’t say ‘Thank you’ as often as I should and I am sure I am not the only one. People don’t understand that even online when the person is not standing in front of us expressions of gratitude create strong, synergistic ties and pave the way for greater influence. It’s true, saying ‘Thank you’ in the ‘real world’ is not just about expressing verbal gratitude, but also about using the right body language and selecting the right words! So how can we transfer this online? The answer to this question is in fact very simple: video. “I find myself constantly seeking new, more sincere, deeper ways to convey that sentiment, particularly here (online) where, as you say, we have no eye and body signaling.” – Gina Fiedel comenting on ‘Just Saying Thank You‘ by David Amerland. After seeing it for the first time I was like: Wow, I’ve never thought about it. And then it came to me. Expressing gratitude using video is in tune with where the internet is going – mobile. People don’t want to read text on their small screens. Video is so much easier to digest. Not to mention that it so much more personal and fun. 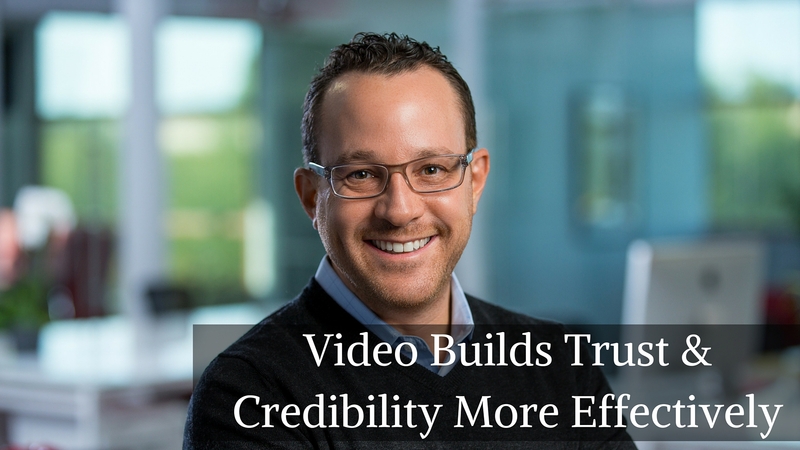 “The reason video is more persuasive than other types of content is the human brain requires emotional input to make decisions. And no technology is better at conveying emotion than video. It’s just an idea but try and send a video saying “thank you’ to your customer next time he purchases something from you and compare his reaction to a traditional (and boring) text email. We are changing the game here. Instead of satisfying every client, we WOW them. We shower them with so much love, friendliness and helpfulness, that they are blown away. So what is going to happen after that is they will tell everyone they know about you and your awesome service. All that in a 1-minute video. Not a very difficult task I believe. Go and do it people and get back to me with the results.